Every single one of us has the potential to achieve Inner Mastery as a means to realizing our happiest and most fulfilling life! Well-being and success are within each of us, but sometimes the stress of daily living and our own internal blocks cloud that potential. I’m Tildet Varon, Inner Mastery Specialist. Since 2005 I have been helping people just like you overcome these challenges, by showing them the way toward inner mastery. I work with individuals, with groups, and with organizational teams. Inner mastery is a practice that balances and aligns our minds and emotions with our actions and results. It is a way of approaching life that connects you with who you really are, bridging the gap between your goals and your reality from the inside, out. The result is a sense of deep fulfillment and gratitude. Through my individual coaching, business presentations and educational programs, I help people uncover and clarify their vision for their lives, and show them a path to make that vision a reality. It is time to fulfill your highest potential and lead a more inspiring life! My journey to becoming an inner mastery guide has been a long and ultimately rewarding one. When I was 15, my neck was fractured in a near-fatal car accident. Doctors told my stricken parents that I might never walk again. You can imagine just how devastating that news was to a teenager, eager to plan for college, a career, and a family of her own. But, I had always been what some people described as determined (and others described as stubborn), and I simply refused to accept that gloomy prognosis. I began reading everything I could about alternative healing and the benefits of positive thinking. I believed I would walk again, and with the help of my medical team and family, I eventually did. That period sparked a deep interest in the field of medicine, and I studied pharmacy in my native Turkey, with the intention of joining my family business in the pharmaceutical field. The universe had a slightly different fate in mind, however! On a trip through the Middle East, I met a young American man and fell in love. Wanting to pursue the relationship, I decided to embark on graduate studies at New York University. A great plan, but all the red tape involved meant that I missed the beginning of the semester! So there I was in New York, in a budding relationship but with no classes to attend and no other plan. Wandering along the city sidewalks pondering my next move, I noticed an interesting phenomenon. People often stopped me to compliment things I was wearing. When I had on my favorite leather coat from Turkey, I received particularly effusive praise. Those compliments gradually lit an entrepreneurial spark, and I announced to my now husband that we were going to become leather importers. I got to work, and established my first store in a high-end area of Manhattan. That entrepreneurial spark was getting stronger all the time, and I eventually owned multiple boutiques of my own in Manhattan and in Long Island. I had long dreamed of having children, and once my sons and daughter arrived, I turned from the retail world to the world of motherhood. I started a second successful business, from home, and dedicated myself to family. Then, as it often does, life threw me a curve ball. Many people will relate to the shock and devastation I felt when my marriage suddenly dissolved after 20 years. In the midst of that upheaval, however, I reminded myself that I had successfully made it through an equally catastrophic event in the past. I began drawing on everything I had learned while recuperating from my injuries those many years ago. I furthered my understanding of alternative healing modalities. And I drew strength from meditating in the lush rose garden I had been cultivating for several years. Finally, I came to an epiphany about the process of blooming—for both flowers and people. I felt called to help other souls find a way to heal as I had. I started with a 10-person workshop in my home; over time, with enthusiastic responses from participants, my enterprise, Growing With Truth Inc., continued to expand. I’m grateful to have enhanced the lives of thousands of people through my work, and stand poised to help many more. I would love to work with YOU! Many practitioners maintain a narrow focus. Some focus only on the spiritual / emotional aspects of healing, while others neglect the spirit in favor of treating the physical with “scientifically proven” techniques. Others consider themselves to be solely business coaches and thus never address the underlying causes of fiscal success or failure. In contrast, I know my clients’ needs have multiple aspects, and must be approached with that in mind. My background as a speaker, counselor, pharmacist, and an expert on different energy modalities has allowed me to pave a multi-faceted and highly-effective path to transformation. I know what it’s like to push oneself and work hard, and to achieve success even in the face of struggle. My deepest wish is to help highly motivated people like you discover a less stressful way to live their lives on their terms, building a life that feels successful on the deepest and most important levels. 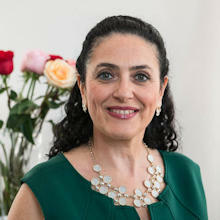 I share powerful insights and strategies with my clients that they use in their work lives and with their teams, and in their personal lives. The result is often achieving dramatic improvements of financial and career success while at the same time feeling less stress. Learn how literally to multiply your productivity by a factor of two or more, transform stress into success, and connect to your own intuition and joy for a more fulfilling experience of life. I can’t wait to watch this unfold for you! 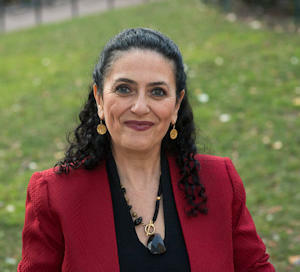 Tildet Varon is a dynamic and sought-after guide and speaker who since 2005 has been teaching the practice of Inner Mastery to audiences large and small. She has dedicated herself to helping innovative and forward-thinking people live the lives they’ve always envisioned. Exit Planning Institute, Health and Business Alliance, Suffolk County Rehabilitation Council, Bank of America, Occupational Therapists of New York City, Allstate, Friends for Life Foundation, The Suffolk Coalition to Prevent Alcohol & Drug Dependencies, Inc., Western Suffolk BOCES; Suffolk Y Jewish Community Center, Wellness Days at Sheraton of Smithtown, East Neck Nursing and Rehabilitation Center, Smithtown Rehabilitation and Nursing Care, Syosset and Patchogue Chambers of Commerce, and UCP of Suffolk, and multiple educational institutions for staff development and student well-being. 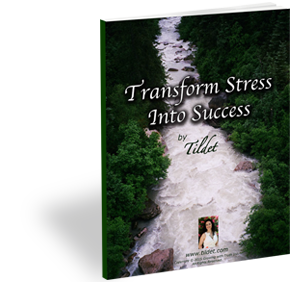 Tildet has brought her wisdom to countless others as a contributing writer of Wake Up… Live the Life You Love: Empowered, along with well-known authors Wayne Dyer and Brian Tracy. Tildet lives in Nassau County, NY with her sweetheart David, and together they enjoy Tai Chi Chuan, hiking, nature, meditation, and sharing with friends.